Medtronic Inc. has suspended sales of their Sprint Fidelis electrical wire. This wire connects the heart to the defibrillator in well over 200,000 people. This wire has been found prone to break within a person’s blood vessels, which can give false impulses to the heart. Medtronic has stated that they plan to send a letter to more than 13,000 doctors worldwide stating that they have identified five patient deaths in which the Sprint Fidelis lead was used. 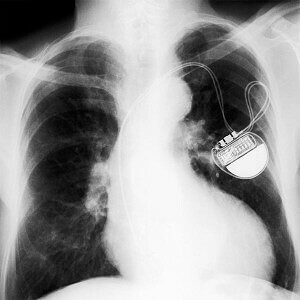 The battery could be drained, which could cause the device to fail to deliver the necessary impulses to the heart. To date, Medtronic does not recommend that the wires be removed; however, you should consult your physician to determine if surgery to remove the wire is indicated rather than leaving the wire in place. If you believe you may have a Sprint Fidelis wire in your body, you should contact your doctor at your earliest opportunity. If you or a loved one has been injured due to a defective Medtronic wire, call Cellino & Barnes now at (800) 888-8888 or contact us.